George Schumpf House | Historic Jacksonville, Inc. This Classical Revival style home at the corner of Fir and South Oregon in Jacksonville was probably built in the late 1870s for George Schumpf, the town barber. 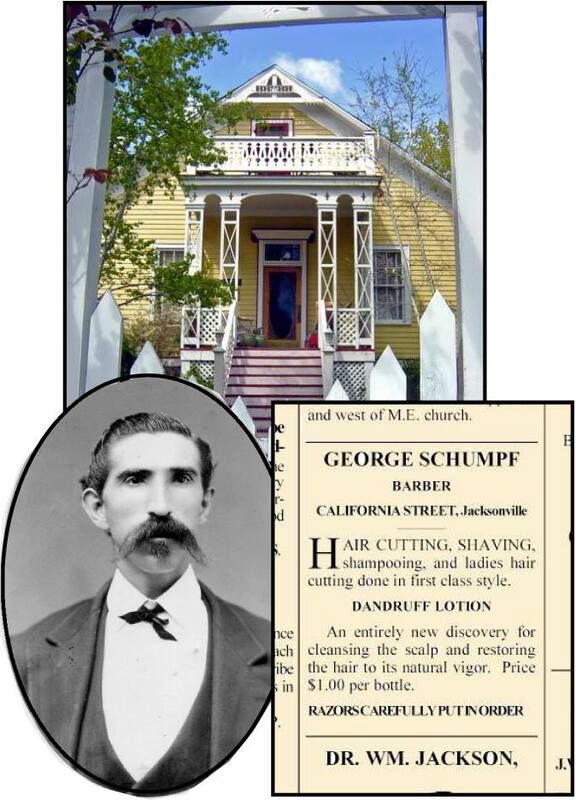 Schumpf, a native of Alsace, Germany, was the town barber for most of his life, also providing “bathing rooms and bath tubs” in his California Street shop. Schumpf sold the house after his wife died following childbirth. Her ghost reportedly is still in residence. Previous as well as present owners have seen her walking down the hall or hovering over a bed, a benign spirit still overseeing those in residence.